From time to time, there are interesting bits from GamesIndustry.biz coverage that don't really fit well into the rest of the story, but are still worth reporting. Rather than relegate them to the trash bin of unpublished work, we'd like to repackage them into columns intended to provide additional insight on a variety of topics. While the exact format of these columns is still taking shape, we will publish them under the banner of "DLC." It was just over one year ago that the furore around loot boxes truly kicked off, as Electronic Arts geared up for the release of Star Wars: Battlefront II. We've all been following the fallout from this, with Belgium and the Netherlands leading the charge in policing this monetisation method, and (more recently) the Federal Trade Commission launching an investigation into the impact loot boxes have. Unsurprisingly, publishers have been a bit more cautious with their holiday blockbusters this year -- or, at least, there hasn't been as much hullabaloo over the way full-price console games are being monetised after launch. Nevertheless, scrutiny around loot boxes remains high, and it's likely to spill over into the realm of free-to-play games on mobile (which have already faced investigations in the past). With this fresh wave of cynicism, you would think leading mobile publishers would be concerned -- but that's not the case for Gameloft. 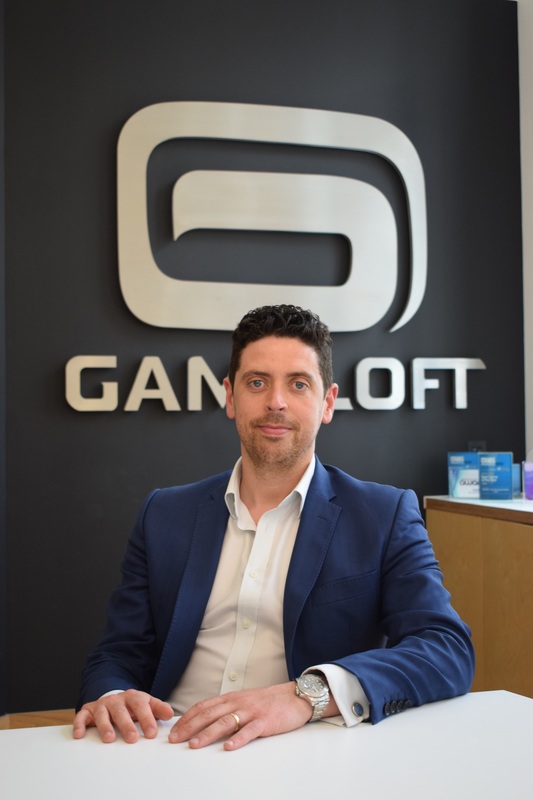 "We have already been implementing regulations like OFT, which was created in the UK and Europe, into our children targeted games," Antonin Lhuillier, MD for Northern and Central Europe, recently told GamesIndustry.biz. "So we are very aware of this and I would say we have never been particularly pushy in the way we monetise our games. We don't favour grinding that much, so this shouldn't penalise us." UK & Ireland country manager John-Paul Burke added: "We've always respected the balance. You can pay as much as you like, if that's what you want to do, but if not, fine, keep going. You can achieve greatness in our games simply through taking part. "There's a responsibility on everyone, on every manufacturer, to make sure they tow that line. And I think consoles did get it wrong. They saw what was happening in mobile and thought 'we'll have a piece of that', and they didn't actually look at the history of how long mobile has been working in that space to achieve that trust. They just said, 'Yeah, we'll charge them more. We'll charge them £80 for the game and then for everything else internally'." Burke described the acceptance of IAP in free-to-play games as "an ongoing conversation, and it should be ongoing", adding: "Companies should take responsibility for how they respect that player, because if you don't respect them, they can just [delete your game] and go. They're not married to you." The Gameloft duo also talked about the changing landscape of mobile games and why you don't have to be No.1 to be No.1 in that market. You can read about in our full interview here. I love a good analogy, which is why I couldn't waste this corker from Media Molecule director Siobhan Reddy. 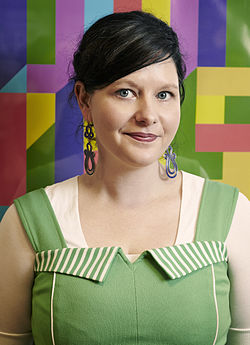 Speaking with GamesIndustry.biz ahead of her BAFTA lecture last month, Reddy discussed how the Tearaway developer has managed to maintain a lean headcount while still ensuring it has all the skills and talent it needs. To begin with, the nine founding members "all filled a particular skills need" and this ethos has continued throughout its recruitment efforts, searching for the skills it needs, not just the most qualified and/or experienced applicant. "The hiring process for us always takes a bit of time, we try not to rush into hires," Reddy explained. "We've learned over the years you can have someone who's the most amazing death metal drummer but if you've got a jazz band, they might not be right fit. "Sometimes people are super-highly skilled and they're amazing, but the type of work they want to do or the thing they're passionate about doesn't really fit. So we take the time we need to when hiring, which I guess everybody does." Reddy adds that Media Molecule is still "quite niche" in terms of what it creates, with its games gearing towards creativity and being built around tools made for the players - the upcoming Dreams being a prime example. "Not everyone wants to make that type of game," she said. "Some people want to make the type of game you play from start to finish, something that's just pure entertainment. People who apply directly to us tend to be people who actually have an interest in what we do." We spoke to Reddy in depth about Dreams and how the upcoming title will to transform everyone into a game developer, filmmaker, musician, artist and more. You can read more in our full interview here. Last week, I attended a slightly unorthodox event in London. Hosted by creative agency Ralph, the Friday Bunk-Off was a short roundtable discussion with companies from various fields on the topic of 'engaging obsessive audiences'. Since avid gamers regularly prove themselves to be pretty obsessive, I thought it would be worth a look. Oddly, the most pertinent advice came from a one-man sandwich shop. 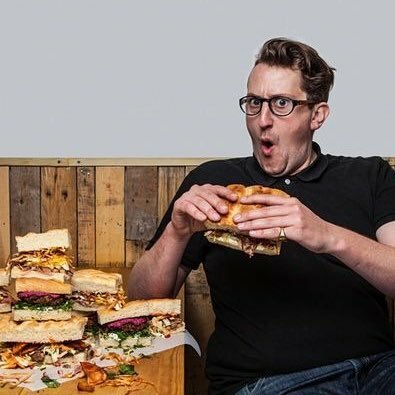 Based in Finsbury Park, Max's Sandwich Shop is a fairly self-explanatory business (more on that later) set up by entrepreneur and sandwich aficionado Max Halley. While there is only a single branch of his business, Halley's social media presence means it has garnered a following that stretches around the world, from the USA's West Coast to Korea (more on that in a bit, too). Much of what Halley had to say could easily be applied to indie developers - particularly one-man studios. For example, he discussed how he was "conscious from the start about how I would make my little brand interesting". In Halley's case, the lack of competition meant he could name it after himself, but there are benefits to building your brand around a real personality. "The fact that it had my name made for a really natural progression into it becoming a character-based brand," he explained. "It was easy for me to keep it clear and consistent because I just started bashing out whatever crap I thought was funny on social media and to people face-to-face in the sandwich shop. "When people say I'm an influencer, it's not because of the sandwiches, it's because of the character of the brand. Luckily for me, that character is my own." His interactions on social media also make it easy for people to feel like they're building a genuine relationship with him, not just his product. Although the wacky nature of the net can shape your brand in unexpected ways. Two years ago, Halley found a ceramic duck in a charity shop and posted a picture of it on Instagram. His followers, for some reason, began tagging him in pictures of other ducks they had found, so he continued posting similar pictures. This has escalated to the point where last week Halley received a parcel from Korea - a ceramic duck, with no name or address for the send, just a note saying 'I know you love ducks'. "The silly duck thing and things like that, it all seems flippant -- and yet it creates random moments in people's lives where they unexpectedly relate to my brand," he said. "They're in a charity shop looking for a new coat and they see a ceramic duck, and all of a sudden they're taking a picture and sending it to me or buying it and bringing it into the shop. "All these little things allow people to relate to the brand in a really friendly way, not in a way where you're constantly being flogged a sandwich and so you have to bang on about how good the sandwiches are. You can support the brand with a picture of a duck." Finally, Halley stressed the importance of being able to communicate the nature of your business or product -- or game, if you're a developer -- as simply as possible, championing the age-old notion of the elevator pitch. "You should be able to describe your entire business in one sentence," he said. "Ralph can be done in two words: creative agency. Mine takes three or four: hot sandwiches and booze. That clarity that goes through the personality of doing all the social media means every single person knows at one glance what it is. "How can anyone engage with you if it's complicated?"